Here at PQ Family Dental, we always want to make sure that our patients get the treatment they need in a timely manner. This focus on the patient is one of the reasons that we are a leading dental care center in San Diego, and have a strong patient base to prove it. Dental fillings are one of the most common and effective dental treatments. Let's take a moment to consider the nature of tooth-colored dental fillings and why they may be more ideal than the metal fillings of the past. 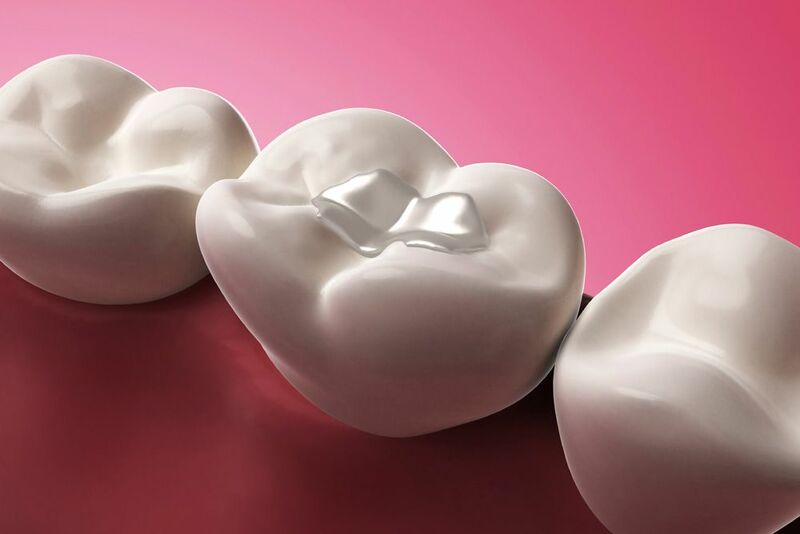 Tooth-colored dental fillings are dental restorations that are comprised of ceramic composite materials. These fillings function just like traditional metal fillings except that they do not contain metals whatsoever and blend in with your natural tooth structure. These kinds of dental fillings have been common in dentistry for the last decade or so, and there are many advantages to having them in place. Tooth-colored dental fillings are quite durable, allowing patients to bite and chew as they normally would without any danger of damaging or cracking the filling. They materials used are set in layers to improve the overall strength and results of the filling. Each tooth-colored filling is carefully color-matched to teeth of a patient. This customization means that the tooth-colored filling blends in seamlessly with the rest of a patient's tooth structure. Someone would have to be up close and looking for the dental filling to identify them. No need to worry about telltale gray spots on your teeth. On the whole, a dentist needs to do less drilling in order to place a tooth-colored filling than is necessary for placing a metal filling. By preserving more of a patient's tooth structure, this means better dental health in general in the long run. In addition, a tooth-colored filling does not warp with temperature fluctuations, which can be a problem with metal fillings. Metal fillings can expand slightly with heat and contract slightly with cold, which can lead to small cracks in the tooth structure. There's no need to worry about internal tooth damage with tooth-colored fillings. Once your tooth-colored dental fillings are place, you will be able to bite, chew, and smile with absolute confidence. There will be no worries with regard to aesthetics or with general dental function and wellness. In addition to fillings, tooth-colored crowns, inlays, and onlays are available, allowing patients to smile with renewed confidence. These other restorations are fashioned differently from tooth-colored fillings, however, often requiring custom fabrication in a dental lab. These can be discussed in greater detail during your visit to the practice. Are Tooth-colored Dental Fillings Right for Me? Tooth-colored filling might be the right option for you and your needs, but this will need to be discussed during a full consultation with your dentist. A full and careful assessment of your dental health needs will allow you to get the right treatment in a timely fashion. For more information about dental restorations and how we can help you have a smile that's healthy and beautiful, be sure to contact our team of experienced dentists today. The team at PQ Family Dental will work with you to ensure optimal solutions for common dental problems.